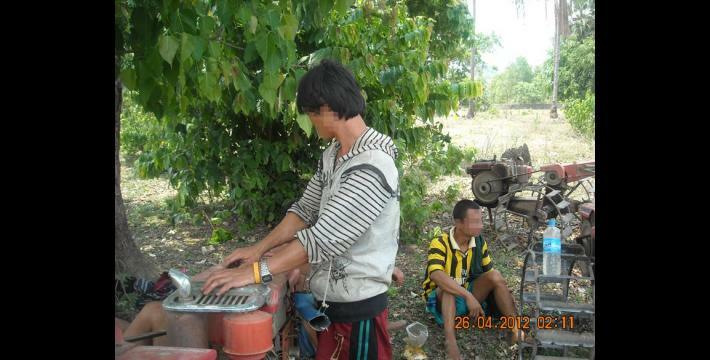 During March, April and May 2012, residents of five village tracts in Pa'an District were ordered to perform forced labour without payment and pay arbitrary fees in lieu of forced labour and for damage to crops by animals. Villagers from Htee Hpoh Kyaw, Mya P'Deh and Noh Ta Pweh village tracts in T'Nay Hsah Township were ordered to cultivate land for Tatmadaw and Border Guard troops, while T'Kaw Bee village tract residents were ordered to transport building materials from Kawkareik town and perform forced labour building a water well for the DKBA. Most recently, in May 2012, residents of Htee Wah Blaw village tract were ordered to pay a total of 600,000 kyat (US $733.50) in lieu of sending six villagers to serve as porters for Border Guard troops. In the last four months, residents of five village tracts in T'Nay Hsah Township, Pa'an District faced demands for forced labour, including demands to plough and sow paddy crops and construct a water well, and the extortion of arbitrary fees in lieu of forced labour, for damage to crops and for participation in card games, from Tatmadaw, Border Guard and Democratic Karen Buddhist Army (DKBA) troops. 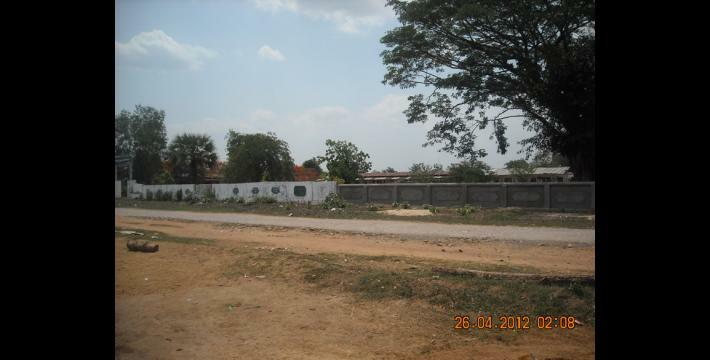 On May 23rd 2012, Tatmadaw Border Guard Battalion #1017 soldiers under the command of Battalion Commander Dih Dih based at Za Ya Phyu Camp, ordered villagers from P--- village, Htee Wah Blaw village tract to hire six porters in lieu of forced labour. 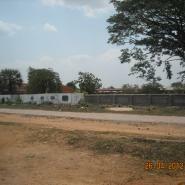 The camp is based between R--- and K--- villages. It costs 100,000 kyat (US $122.25) to hire a porter for two months of work, meaning that each household had to contribute 3,000 kyat (US $3.67) in order to raise the 600,000 kyat (US $733.50) demanded in lieu of six porters. According to a local village head, during April 2012, Tatmadaw soldiers from Light Infantry Battalions (LIBs) #547, #548, and #549 ordered residents of Htee Hpoh Kyaw, Mya P'Deh and Noh Ta Pweh village tracts in T'Nay Hsah Township to bring 12 hand tractors from each village tract in order to plough a paddy field owned by the Tatmadaw. 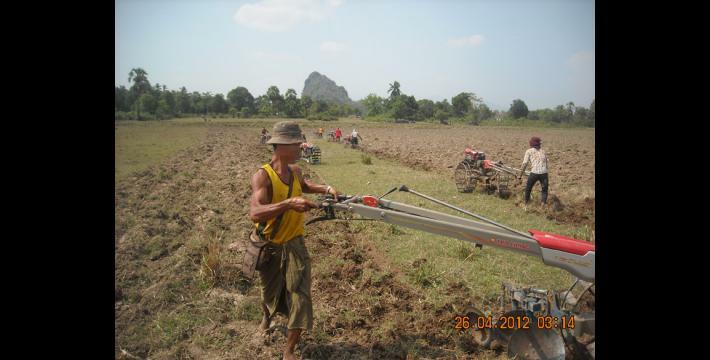 The villagers from Htee Hpoh Kyaw village tract brought 12 hand tractors, the villagers from Mya P'Deh village tract came with nine tractors, while, the villagers from Noh Ta Pweh village tract came with only two hand tractors, making the task of ploughing the paddy field difficult. Each village tract was ordered to plough ten acres of land, and they were required to work until they had completed the task without fail. Three villagers were required to drive and operate each hand tractor and only three bottles of petrol for each of the hand tractors were provided by the Tatmadaw soldiers per day. The Tatmadaw soldiers did not provide any food for the villagers while the work was being done, so the villagers had to bring their own food every single day until the work was completed. 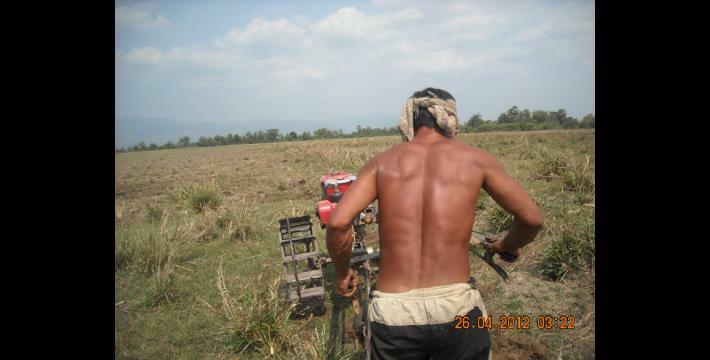 After ploughing was completed, the Tatmadaw soldiers also ordered villagers to sow paddy. When the seedlings had grown and the paddy plants had become larger, the Tatmadaw herded cattle, which were grazing nearby, into the paddy field, and the cattle ate some of the paddy plants. According to a villager, this was carried out deliberately by Tatmadaw troops in order to extort money from the owners of the livestock, who were subsequently fined 30,000 kyat (US $36.67) per animal to compensate for the damaged crops. 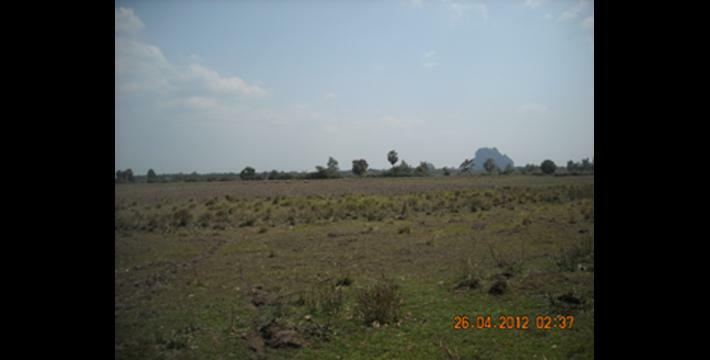 The paddy field in which villagers were ordered to work is located near T'Nay Hsah village, beside the camp where LIB #547 and #548 are based. 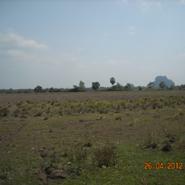 According to a community member, at one time Muslim villagers and Karen villagers used to live on this site, but about 20 years ago, the Burma government confiscated around 2,000 acres of land from the villagers, and this flat field comprises part of the land that was confiscated. Older villagers explained that forced labour at this site is part of a predictable pattern of abuse, and that they have been forced to work on this paddy field every year for the past 20 years. One villager, Maung P--- from B--- village, T'Nay Hsah Township, predicted that villagers will again be ordered to harvest the paddy during the harvesting period in November 2012. He explained that villagers will again be forced to bring their own food and sickles for the purpose of harvesting the paddy crop. Maung P--- told the community member working with KHRG that he did not want his voice to be audio-recorded and did not want to be photographed. According to that community member, villagers from Htee Hpoh Kyaw, Mya P'Deh and Noh Ta Pweh village tracts were likely to face further demands for forced labour following the completion of the ploughing and sowing of the paddy field described above. 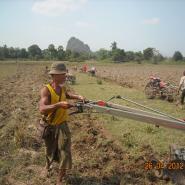 Villagers were informed that after the ploughing (pictured above) was complete, the villagers would be required to plough another paddy field, this time for the Border Guard. According to that community member, villagers have been forced to plough this field every year since the formation of the DKBA in 1994. The paddy field is located at the base of Noh Hta Baw cliff, close to Noh Hta Baw village. Border Guard Battalion #1015 owns the field and is based in K'Lah Koh camp, under Battalion Commander Mya Hkaing and Battalion Deputy Commander Maung Ngway Heh. In D--- village, T'Kaw Bee village tract T'Nay Hsah Township, the DKBA donated money for the building of a well in March 2012. 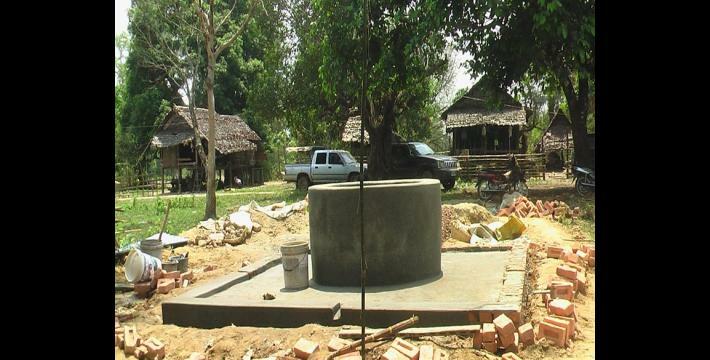 However, they did not construct it by themselves, but instead ordered local villagers to work on it from the beginning of the construction process until the well was completed. 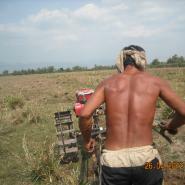 Although the DKBA provided all of the materials for the construction of the well, the villagers were required to transport the materials from Kawkareik town by hand tractor, which is an hour's journey from the site of the well. 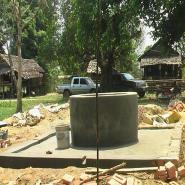 After the construction of the well was complete, the DKBA held an opening ceremony in celebration, where they gambled with villagers. By charging locals to enter card games, they were able to collect fees and replenish some of the money they had spent on providing materials to build the well. Further information on land confiscation and forced labour ordered by Commander Dih Dih can be found in "Pa'an Situation Update: T'Nay Hsah Township Sept 2012," KHRG, May 2012 , and, "Pa'an Situation Update: Nabu Township September 2011 to January 2012," KHRG May 2012. Border Guard battalions of the Tatmadaw were established in 2010; they are composed mostly of soldiers from former non-state armed groups, such as older constellations of the DKBA, that concluded ceasefires with the Burmese government and agreed to transform into Border Guard battalions within the Tatmadaw. Border Guard battalions are assigned four digit battalion numbers, whereas regular Tatmadaw infantry or light infantry battalions are identified by two or three digit battalion numbers; "DKBA officially becomes Border Guard Force" Democratic Voice of Burma, August 2010 , and, "Exploitation and recruitment under the DKBA in Pa'an District," KHRG, June 2009. 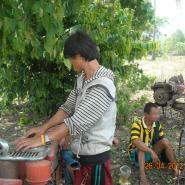 As of April 5th 2012, all conversion estimates for the kyat in this report are based on a rate of 818 kyat to US $1. This reflects new measures taken by Burma's central bank on April 2nd 2012 to initiate a managed float of the kyat, thus replacing the previous fixed rate of 6.5 kyat to US $1. This incident is also referred to in one as-yet-unpublished situation update that KHRG has on file. In order to increase the transparency of KHRG methodology and more directly communicate the experiences and perspectives of villagers in eastern Burma, KHRG aims to make all field information received available on the KHRG website once it has been processed and translated, subject only to security considerations. As companion to this, a redesigned website will be released in 2012. In the meantime, KHRG's most recently-published field information from Pa'an District can be found in the interview "Pa'an Interview: Saw Bw---, September 2011," KHRG, June 2012. While Tatmadaw and DKBA units have for years operated together, this operational hierarchy became formalised with the DKBA's transformation into a 'Border Guard Force' under control of the Tatmadaw and containing a fixed number quota of Tatmadaw officers. This transformation dates to at least May 2009, when commanding officers stated in high-level meeting of DKBA officers that the DKBA would transform itself into a 'Border Guard Force.' Leaked minutes from the May 2009 meeting are retained by KHRG on file. Ceremonies attended by Tatmadaw commanders officially announced the transformation of large portions of the DKBA into Border Guard Forces in September 2010; see, for example: "Border Guard Forces of South-East Command formed in Paingkyon of Kayin State," New Light of Myanmar, August 22nd 2010; and "Border Guard Force formed at Atwinkwinkalay region, Myawady Township, Kayin State," New Light of Myanmar, August 25th 2010. For further background on the formation of Border Guard battalions in Pa'an District, see also "Exploitation and recruitment under the DKBA in Pa'an District," KHRG, June 2009. The DKBA was formed in December 1994, led by Monk U Thuzana and with the help and support of the State Law and Order Restoration Council (SLORC), which was the name of the Military Government in Burma at that time. For more information on the Formation of the DKBA, see "Inside the DKBA," KHRG, March 1996.